NIKA is hiring for a Construction Quality Manager to provide on-site project support services at Naval Medical Center Portsmouth in Portsmouth, VA!! Perform on-site CQM services at NMCP. 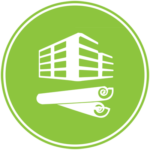 This support will include but is not limited to: evaluate schedules, work performance quality, safety oversight, coordination effectiveness, and perform documentation reviews for all repair and construction work in progress or in planning stages at above-referenced facilities, and reports to COR or other appropriate Government officials. Ensures conformance with NFPA codes, TJC standards, safety standards, and other agency criteria. Assist in coordinating utility outages and connections, and be present during outages to provide support. Contractor shall work directly with NMCP Project Managers. Coordinate with various stakeholders to include Facilities Engineering staff, hospital Operations & Maintenance staff, the BOSC Contractor, the construction contractor, and project-related Corps of Engineers staff. Shall be prepared to provide a written weekly report to government officials in order to apprise them of project status, as necessary.